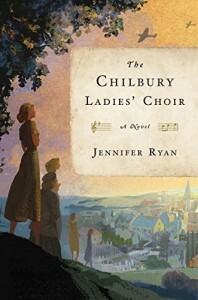 Jennifer Ryan provided an interesting way to look at the town, Chilbury, during World War 2 in this novel. A small town setting, near Dover, England, mainly women, older men, and children remain due to the number of eligible men going into military. Ryan provides each of the main characters a voice either through letters or a diary entry. Each of the town's members have a story-from dealing with war torn England, secrets that townspeople have, loss of family members, and more. The local women start up a choir and find they are quite good. This tactic helps the author show multiple sides of the characters throughout the story; and the letter/diary approach allows the reader to see how the town setting is part of the story.